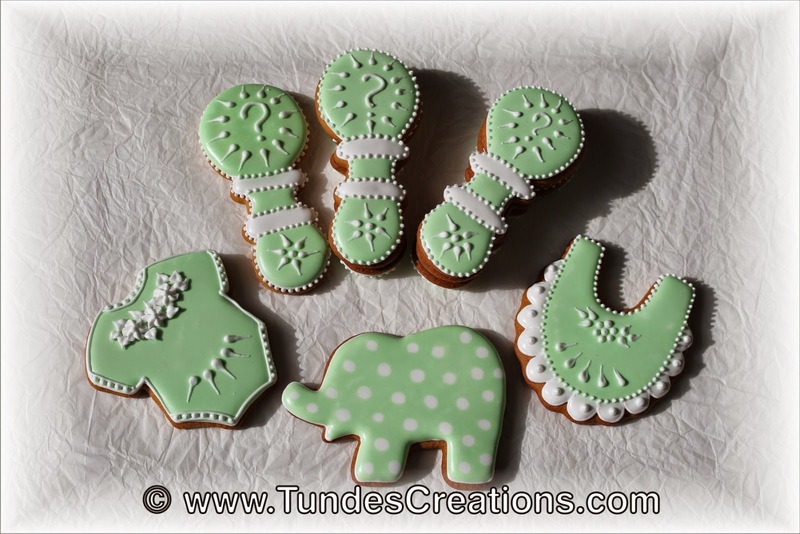 I wanted to create some baby shower cookies that look great but are easy and quick to make. For the visible part of this set I used only 3 icing bags: piping consistency white, flood consistency white and green. But the gender reveal cookies hide an extra color. We will create this set during our April class at Sweet Wise, more information and registration will be available at their website. Let's start with the easiest one. You can pick any cute shape and just flood it and make some polka dots inside with wet on wet technique. 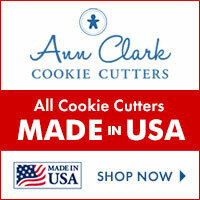 It's easy, fast and the result is a cute, playful cookie. For the next cookie I used only dots and teardrops as decoration, but it looks intricate. When I have some left over royal icing and time, I like to make drop flowers. I can keep them forever and they make the simplest designs look fabulous. And to finish the set, I made three versions of the rattle gender reveal cookie. Of course the last one is my favorite, as it does rattle!